The Ciceley Motorsport Mercedes-Benz A-Class racer had stormed from pole position into the lead at the opening corner. He was then helped by contact behind between Dan Cammish (Team Dynamics Honda Civic) and front row starter Sam Tordoff (Motorbase Performance Ford Focus). Tordoff spun, and there was chaos as other cars, including that of championship hopeful Matt Neal (Team Dynamics Honda Civic), piled in to the stationary Focus. 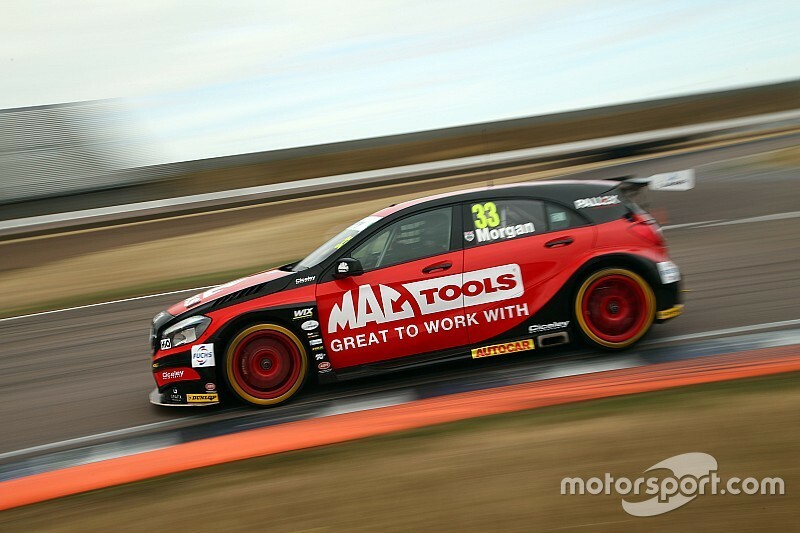 The skirmish allowed Tom Chilton (Motobase Ford Focus) into second place, while Cammish ran third from the fast-starting Team BMR Subaru Levorg of Ash Sutton, who was up from the fifth row of the grid. After a brief safety car period to clear up the broken cars, Morgan again raced clear as Chilton began to struggle with degrading front tyres. Morgan, who took his third win of the of the campaign, said: “I knew it would be all about the start and I wanted to reach the opening hairpin first. It was a relief when I saw it all kicking off behind me. The second placed Chilton man fell back into the clutches of Sutton, and the Subaru pounced on his rival going through the Tarzan hairpin on lap 13. Chilton was forced to defend for the remainder of the race as Cammish and Chris Smiley (BTC Norlin Honda Civic) swarmed all over him. Smiley had got ahead of Cammish briefly, but a touch between the pair gifted fourth back to the Team Dynamics man. However, a superior exit from the final corner gave Smiley a run to leap into fourth by a narrow margin at the flag. Mike Bushell took sixth place in the Team Hard VW CC ahead of Colin Turkington in the WSR BMW 125i M Sport, which was carrying 66kg of success ballast. The Northern Irishman has moved back to the head of the championship table as his main rival Tom Ingram, who had been running in a strong seventh in the Speedworks Motorsport Toyota Avensis, pulled off the track on the final lap with a failure of the car’s fly-by-wire throttle system.